Back in 2010, my friend Sam Luce was on a children's ministry road trip across the country with Kenny Conley. They stopped in Louisville and met Tony Kummer and me at Quill's Coffee. It was Ash Wednesday. I still had ashes on my forehead. It think it was a bit surreal for Sam--hailing from very Catholic upstate New York. I am not Catholic. I clarified that right away for Sam--probably just a bit uncomfortable in my own skin when he asked about the ashes. I'm a Baptist by confession, but I'm part of a church community that follows the church calendar. And, for that, I'm really thankful. To know the seasons of the Christian year is to know the milestones of Jesus' earthly ministry--from the promise of his coming at Advent through his resurrection at Easter and the coming of the Holy Spirit at Pentecost. As Christians, we want our personal story to be shaped by his story. One way the universal church has practiced this historically is by letting Christ's life shape our time--not just at Christmas and Easter but throughout the year. Lent is all about preparation. We prepare our hearts and minds for Good Friday and Easter, those days that mark Christ's passion and then his victory over death. We experience the significance of holy week more when we're prepared for it by retracing Christ's journey to the cross. The season of Lent starts on Ash Wednesday and ends on Easter, lasting for 40 days (not counting Sundays). Each day of Lent symbolizes one of the 40 days Jesus fasted in the wilderness before Satan tempted him. During Lent, Christians fast from something that can pull our minds way from Christ (TV, social media, chocolate, etc.). The goal is to fill the void with an invigorated prayer life and increased reflection on God's holiness, our sin, and Christ's perfect obedience even unto death. As I've reflected about on how to pass the practice of the church calendar on to my children. Here are two brief thoughts. First, I think it's really appropriate for kids to receive ashes during an Ash Wednesday service. We wait until after kids are trusting Christ and give a faithful confession to baptize them and allow them to take communion. But there is nothing about the Ash Wednesday service that needs to be reserved until kids are converted. It's good to have sober conversations with children about life and death. The sage teaches us, "It is better to go to a funeral than to go to a party, because death is the destiny of everyone. T he living should take this to heart" (Ecclesiastes 7:2). The goal isn't to scare kids out of Hell in some manipulative way. But I believe Ash Wednesday provides an incredible teaching moment for kids. Particularly for a child with a more reflective temperament, this is an opportunity for a parent to intentionally pass on the truth that life is but a breath. Second, Lent gives your family an entire forty day season to remember Jesus is best. We fill our busy lives with candy, toys, sports, extra curricular activities, video games, television--you name it. During Lent, we remember the happiness we find in those things is temporary. Jesus says, “Do not store up for yourselves treasures on earth, where moths and rust destroy, and where thieves break in and steal. But store up for yourselves treasures in heaven, where moths and rust do not destroy, and where thieves do not break in and steal. For where your treasure is, there your heart will be also" (Matthew 6:19-21). Every toy your child has will one day lie in a junk yard. The treasure of this earth makes us happy, but that happiness is temporary. During Lent we stop filling our lives with temporary happiness and make more room for Jesus. Consider fasting as an entire family during Lent this year. When you do so, don't just give up something. Also, be intentional about adding a practice, a new affection like serving at church together or volunteering at a local non-profit, to help set your family's heart on God instead of the thing you are giving up. 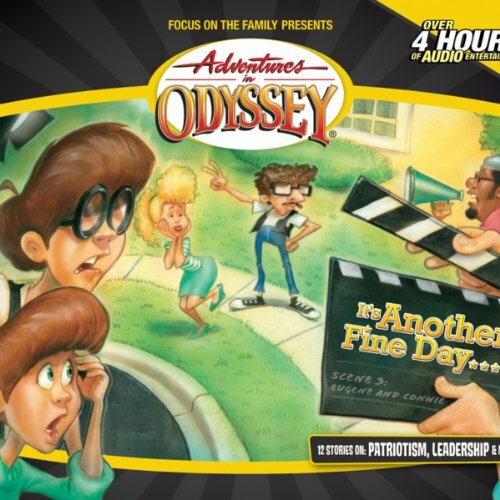 One great resource we've used to teach about Lent with our kids is an old episode of Adventures in Odyssey from Focus on the Family (Episode #152: The Meaning of Sacrifice) that explains the purpose of Lent and the practice of fasting as a family in a way with which our kids have really connected. Are you planning to celebrate Ash Wednesday and Lent with your family? What practices have been helpful for you? Some portions of this post were adapted from the 2015 Sojourn Church calendar devotional written by Daniel Montgomery and Bobby Gilles.